The world of cryptocurrency is undeniably one that is hard to crack. When we think about it, we immediately think of Bitcoin and the frenzy around its value. 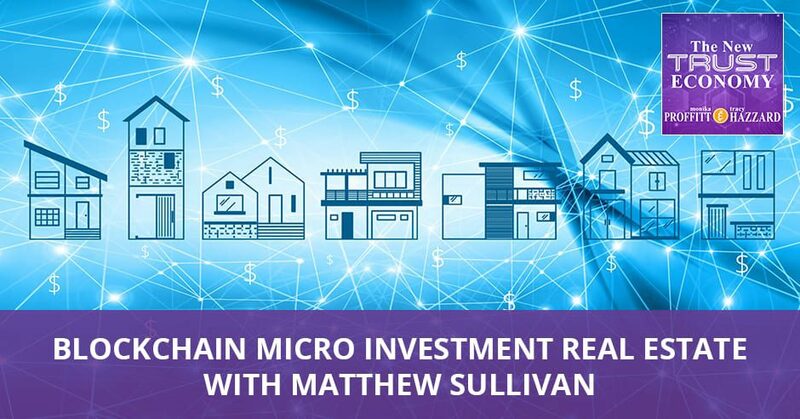 Proving how cryptocurrency is far more beyond that, CEO of QuantmRE Matthew Sullivan has found an appreciation of the actual blockchain technology behind it and merged it into real estate – blockchain micro investment real estate. He talks about his newest venture along with becoming a serial entrepreneur. Matthew shares a solution that keeps us from locking up equity with blockchain technology which helps move us into a new world of transactions, liquidity, entity, and more. I’m here with Matthew Sullivan. I’ll be interviewing him about his newest venture, QuantmRE. It is a wonderful platform that is helping to pull equity out of homes that are owner-occupied. After you have spent all this time, slaving away and paying down your mortgages, you have all this equity locked up. Rather than having to sell the whole place, you can go to QuantmRE and have just part of your equity liquidated. They’re using cryptocurrency. We’re going to be discussing what he calls the machinery of business, the changing and transference of value that cryptocurrency is ushering in and even the flying of a helicopter to work. Welcome, Matthew Sullivan. Thank you so much for joining us. I’ve got Matthew here from QuantmRE. It’s a pleasure to be on your show. Thank you for having me. I’m so glad you could make the time. I’m so curious about not only your current venture and how you’ve gotten started, but also the background that brought you to where you are. From what I could gather from pieces here and there, you’ve got quite a varied background. Usually, you can ask people how did they get started with what they’re currently doing, but it sounds like you’ve got such a varied background that informs this. I want to start with where you began as a serial entrepreneur. You don’t start as being a serial entrepreneur. You start as being an entrepreneur, which starts when you realize that you’re congenitally unemployable. I do remember that moment when I was a stockbroker in the late ‘80s in London. I was breaking the Far East markets. I was in the early twenties at the time. You could see all these things happening in the business with all the various departments being built because it was a startup stockbroker. I was fascinated by the machinery of business as opposed to what I should have been doing, which is my job as a stockbroker say much to the irritation of my bosses. I became much more involved in all of the other things and very soon left to start my own business, which was an abject disaster. I guess we’ve got to learn somewhere. What was that abject disaster? There was this craze in the UK. It was a multilevel marketing craze where people were buying and selling water filters. It was a company called NSA. It was an American company. This was before Nu Skin and all of these big MLM campaigns that hit the UK. I saw these people getting very involved in this. I’m not going to join their thing. I’m going to make my own. I went over to Minnesota and found this company that makes air purifiers. I’m going to compete with this enormous company, me working at our office at home, next to the sitting room and the TV. Needless to say, we didn’t make a very large dent in that business. We made a very large hole in our net worths. We traded that with experience, knowledge, understanding and developed an immediate dislike running out of money. An immediate dislike for running out of money and congenital lack of employability. It sounds two wonderful tastes that come along with being a long-term entrepreneur. It’s that thing where you see things. I’m fascinated by how these things are built. There’s a creativity element. The thing that gets me going is the ability to create something. One doesn’t want to be the number two guy. I don’t want to be Dell, I want to be Apple. I’m not sure that’s a good or a bad thing. Sometimes it works and sometimes you fall flat on your face, but that’s part of the whole learning process. It sounds like you’ve done a lot of learning in a lot of different verticals. Is it true you used to work alongside Richard Branson at one point? That was a few years back, but I did. I spent nearly four years working very closely with him. I worked for this very interesting guy called Rory McCarthy, who had the world high-altitude hand gliding record and the world high-altitude free fall record. He jumped out of a hot air balloon at about 35,000 feet. The hot air balloon was built by this incredible Swedish pilot, Per Lindstrand, who also ended up building the hot air balloons for Richard Branson. We wrote him a letter one day because we ended up buying Lindstrand balloons as part of this corporate finance company that we run. He wrote Branson a letter saying, “Dear Richard, we are Lindstrand balloons and going around the world in a hot air balloon is the last great aeronautical challenge. We think you’d be a great pilot.” He wrote back to Rory and said, “Dear Rory, why not? Yours, Richard.” That’s how we ended up getting very close to Branson because we ended up building the balloon for his global circumnavigation attempt, which was about a thousand years ago. Blockchain Micro Investment: Because the market is forming at such a ferocious rate, it’s not the technology that’s emerging it. It’s the companies. Our office was down the road for him, so we ended up becoming best friends with him. We were in and out of his office every day. We ended up creating Virgin Cosmetics and Virgin Clothing and a whole bunch of different projects. One of which was the London Air Ambulance. I ended up being a director and a trustee of the London Air Ambulance, which was great because I had a helicopter license. Every now and then if I was very good and asked very nicely, they would let me fly the helicopter from where they park it overnight to the top of the Royal London Hospital. I would literally fly this huge helicopter to work, get out, take my flight suit off and I’d have my suit on underneath. Hail a taxi and I’ve been whistling the tune of James Bond, far more important than I already was. It did make me smile. You’re helping one of the richest men in the world traverse the entire globe through hot air balloon travel, and then being able to use a helicopter to show up at work. It sounds a far cry from something as frankly boring as real estate. How did you end up coming back down to Earth and wanting to do something so drastically different? The thing that I’m doing now is the most exciting thing I’ve ever done. I don’t say that tongue in cheek. It is. I’m watching someone else fly a hot air balloon. It’s very interesting, particularly that person is Richard Branson but building your own business, that’s the thing that’s the most interesting. What we’re doing at QuantmRE is combining the blockchain and real estate. We’re reimagining the way that houses are financed. We’re dealing with some very nontrivial areas. The exciting thing is potentially the scale that we could build this thing too. Also the excitement of being in the middle of blockchain technologies as they develop and as all the relationships around that develop as well. The market is forming at such a ferocious rate, but it’s not the technology that’s emerging it. It’s the companies. It’s the people. It’s how they work with each other, how they partner up, how they interact and how these partnerships are formed and how these companies are formed. Blockchain is a technology that is probably going to change in a very short period the way that we do most things to do with the internet and the transference of value. That question is probably going to change quite soon. The question of why aren’t you on the blockchain as opposed to why are you on the blockchain is a bit a few years ago when people say, why do you need to be on the internet? Now the question is if you’re not on the internet, why not? It’s interesting because the blockchain is going to be such a fundamental building block of the technologies that will be used in the very near future to power the way that we manage not just financial transactions, but any type of transaction where we are relying on a reliable source of data and that’s everything. If you think about it from healthcare to finance to banking to transportation, anything where you don’t want to be able to go back and change things. I was talking to someone about LinkedIn, for example, how on LinkedIn you can go back and reinvent yourself. You can scrub out things that you worked for and re-engineer your past. If LinkedIn was on the blockchain, then whatever you put there basically would be immutable or unchangeable. I know that’s not a very good example because LinkedIn could decide that they want to do that anyway without blockchain. It’s an interesting example of that layer of truth, no matter how much you wanted to, you couldn’t change it. That’s applicable to so many different areas. What blockchain does for us is it allows us to move into a whole new world of transactions, liquidity, entity, trust and scale that we haven’t been able to do with the internet so far. It’s fun to hear everybody make their best argument for it. I’ve tried to explain the need for distributed ledgership to my cousins by saying that the blockchain is basically Instagram without the delete feature for PDFs, money and transactions to which one of my favorite cousins likes to say, “I hate Instagram and I would hate if all of my entire life would be on Instagram. Why does everybody need to know my business?” It’s funny when people look at it from two different sides, they think of it two different ways. What’s going to happen though is that the technology is going to stop going much more behind the scenes because the conversations we have with people is when we talk about blockchain. They say, “What do you think the price of Bitcoin is going to be?” They are related but blockchain is a technology and Bitcoin is something that sits on top of the blockchain. Bitcoin is the thing that is the star of the show, but it’s not the show. That’s the interesting thing where people say, “What are you using? What token are you using?” The technologies are emerging quickly. The technologies that we have now will not be in used in a year’s time. Some of the most incredible technologies, which are based on blockchain are yet to be invented, but they could be twelve months around the corner. The important thing going forward is that the conversation is going to be less and less about the price of Bitcoin or do you need blockchain? It’s going to be all about the services and the benefits that are delivered that happened to be powered by blockchain technologies. That’s what I’m excited to see is how new products and new utilization, which is a very long word for use, new uses of the blockchain, that’s what’s going to ignite people’s imagination. The blockchain conversation is going to become very secondary. Speaking of the stars of the show, tell me about your venture in your own words. What’s your elevator fifteen-second pitch of exactly what QuantmRE is doing? We help homeowners release the locked-up money, the dead money that’s locked up in the equity in their homes. We allow them to do that without adding more debt. If you’re a homeowner and you want to release the equity that you’ve been busy paying down for a number of years, then we allow you to do that. We enable you to tap into that locked up money. We use blockchain technologies and cryptocurrencies to help us do that. As a homeowner, you benefit because you are able to get cash dollars without having to be involved in cryptocurrency. Most importantly you can raise that money without having to increase your overall debt. What we do as a result of that is we help create a currency or a token that is backed by real estate assets. Another problem that we solve is we’re creating a token that has less potential volatility than our dear friends of Bitcoin. We’re creating something that’s a bit more predictable. If you’re a real estate investor, we’re giving you access to a whole new way of investing in real estate without the problems of toilets, tenants and trash. All of this is powered by our platform, which sits on a number of related blockchain technologies. Blockchain Micro Investment: Figure out your next venture that you have to chase down that is not going to be just another water filter idea. Tell me about the time when you figured out this was your next venture. This was the one, this was the idea you had to chase down. It wasn’t going to be a water filter or an air filter idea. This is a good one. The caveat that was nearly 30 years. Significant amounts of water have flowed under the bridge since then. Having been around the tracks, I was involved in setting up one of the first internet billing companies back in the late ‘90s. I was always very interested in infrastructural developments. When I came over here years ago, the first thing I did was set up a real estate crowdfunding company. I was already involved in real estate. I was involved in crowdfunding, which was a very early stage way of chopping businesses or properties up into little pieces. I’m sorry to say but there was no a-ha moment. It was a process of osmosis and attrition where I felt I didn’t get this whole Bitcoin thing. I couldn’t understand what the value was. I understood the technology or the theory, but I couldn’t understand why on earth would anybody buy this stuff because where’s the intrinsic value. I understood the technology. It was over a period of time that I began to piece together there must be a way of marrying some physical asset or a solid asset with this technological improvement. I’m a bit of a slow learner, so over a period of time and gradually dawned on me that what we need to do is create a token that leverages the benefits of the blockchain, the transparency and intrinsic value of real estate. It was a period of time. When did that period of time start? I like to ask people, if you ever bought Bitcoin, when did you first buy it? That’s a good one. If that’s not so much your focus, the crypto or the Bitcoin aspect, when did it click for you that this underlying technology was the right thing to make this all come together in a seamless way? I’m a member of this networking group that meets in Beverly Hills every Saturday. One of the members and a relatively frequent guest was Brock Pierce, who still is a real evangelist of cryptocurrencies, the blockchain and Bitcoin in particular. Obviously his enthusiasm, his involvement and his knowledge of Bitcoin were compelling and inspiring. I remember a couple of years ago listening to him speak, thinking, “I can’t see the link.” I want to get involved. My problem was I didn’t want to get involved as an investor in Bitcoin because then I was another guy in a secondary market at the back and cool of what I believed to be a very volatile marketplace. Everyone was potting into Bitcoin and made huge amounts of money. I was very much on the sidelines, refused to buy because I’ve lost so much money in the past investing in specters of stocks. My instinct was not to do that. The moment was probably when I began to piece together what cryptocurrencies were, what the blockchain was, what it meant, and how we could then start overlaying that. It was probably about months ago that the thought process began. The question then was what is the best asset class, which was the thing that once I decided on that, that’s when we started putting it all together. How was the process of fundraising been for you? Given that we have had the most bipolar market in crypto. The market has gone through a perfect parabola. With my experience in securities because of the crowdfunding platform, I didn’t understand again how people could raise capital through unregistered security offering through an ICO and somehow magically bypass. Having worked with attorneys over here for the last years with the crowdfunding platform using the same regulatory exemptions, we were all scratching our heads thinking this is wrong and therefore probably illegal. As it transpired, the SEC has obviously come to the same conclusion. We were watching on the sidelines, desperate to get involved, seeing this enormous amount of activity with fear of missing out like everybody else, but still hesitant to get involved with some being big gangbusters ICO. We had probably a lot more knowledge of securities laws than your average ICO startup. We did however start the press. We put a solid business plan together. We went to our friends and family. We raised under $2 million by way of a controlled securitized ICO to a small group of people. We used that method. We didn’t go out to the marketplace. What’s happened now is the market is like a full parabola. It’s now the other side of the curve. The market has changed and is now going to be much more focused on securities and securitized offerings using token technologies. That’s where the long-term future of capital raising is. It’s going to be using a combination of token technologies, but under the regulatory oversight of the SEC and other jurisdictions in other countries. Because of their crowdfunding platform, it sounds you’re very familiar with a regulation, Reg A-Plus offerings. Is that true? I filed a Reg A-Plus offering on how it qualified. We also have a Regulation A-Plus real estate debt fund. We were one of the very early companies, real estate entities to use Regulation A-Plus. Being in the crowdfunding world, we were exposed to a lot of these regulations literally when they first came out. I remember the announcement when it first came out. The important thing was knowing what that meant. Blockchain Micro Investment: Do not be distracted by the technology; focus instead on the underlying business model. A lot of times people don’t necessarily follow all of the in-depth knowledge. Can you define Reg A-Plus in your own words? It’s the ability to raise up to something decent, up to $50 million a year from accredited and non-accredited investors, both inside and outside the United States. They’re subject to restrictions. 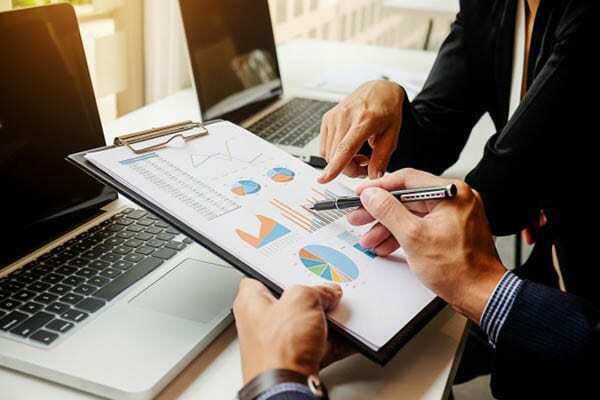 If you’re not an accredited investor, you’re capped to the amount that you can invest, but it means you can raise a fairly large amount of money, $50 million a year. Most importantly the shares that you sell or the shares that you allocate to people are immediately tradable. 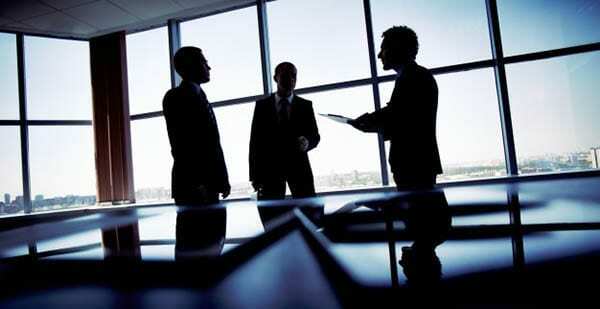 That compares to other exemptions such as Regulation D and Regulation S, which have been around for a number of years. Where if you buy shares in a company through a private placement using Regulation D, then you have a twelve-month period where those shares cannot be traded. What Regulation A-Plus has a foot in both camps. It’s a bit like a private placement, but it’s also a bit like an IPO. It has all the good bits of both of those pieces of legislation or both of those exemptions. It is a fraction of the cost of taking a company to a full. There’s also a very straightforward and low cost and a relatively quick way of transitioning from a Regulation A-Plus into a fully reporting company. It’s a great piece of legislation because it’s very grown up, it’s scalable and it delivers what you need, which is the ability to trade your shares or all your tokens for that matter immediately. That’s very important if you’re trying to create a secondary market. I usually use a question like this in interviews that are not crypto-related. The timeline is always longer because everything seems such a fast timeline in the crypto world. I usually say if you go back two to five years and give yourself a former version of yourself, what’s any advice about this current venture? What would it be? I almost think if you go back twelve months and give yourself any advice, what would it be now? It’s not to be distracted by the technology and to focus on the underlying business model. We were subject to a thankfully a lesser extent, but it’s very easy to be sidetracked by shiny new things that distract you from the underlying business itself. We’re in a very good position because we have a solid business model that’s been proven in the non-crypto world. The people that are part of our team have originated almost a quarter of a billion dollars’ worth of this type of real estate assets. There’s a lot of experience on the team and we know that works. Tokenizing it takes it into a whole new world. It is difficult because it is a very short space of time. I don’t think that there are any critical decisions. There’s a lot of fine tuning I would have done, but I don’t think that we went down any programmatic or business cul de sacs or dead ends that I wished we hadn’t done and would have reversed out of. That’s a historical way to look back on what you’ve been doing. Those are your traditional show-stoppers, but we did have and we still do have the benefit of some great advisors and some very talented experienced people on the team. One of the benefits of having gray hair in a world, which is otherwise dominated by very young, very clever programmers and technical guys, is they tend to be a little bit more cautious and a bit more focused about how useful it is. When bringing such a new technology to the retail investor, you are targeting retail investors, correct? Blockchain and tokenization can be such a great vehicle for so much liquidity and movements in the marketplaces, a new market is made, but it also requires so much education. Have you encountered the need to educate your retail investors to be able to understand this new technology? Has that been more of a barrier or a hindrance that you found that wasn’t there in more traditional crowdfunding ventures of yours? Even with crowdfunding, there’s a certain amount of a reticence because anything that’s new is going to get friction from your retail community. That’s not just in finance. The trick though is to make the technology and take very much a back seat. This has all to do with how you engage people from the marketing perspective, from a messaging perspective and also how your platform operates. When people go to the platform, if immediately they’re besieged with technobabble, then they’re going to go somewhere else. If you can lead them on a pathway that they understand that looks very similar to something else that they’re already using, then they feel comfortable. Effectively what you’re doing is you are delivering something that is understandable, but you’ve got to create ways of removing the fringes. Wallets, for example, are a great way of irritating people. You have a wallet and you don’t speak to them in words. You speak to them in the hexadecimal cryptographic code. Those are things that need to change. What we’re doing is we’re saying to people, “For those of you who did know what a wallet is, we can deliver our tokens into your wallet. For those of you that don’t, we have this arrangement with a custodian that allows them to hold your credits for you.” They are registered. They work with banks. They’re part of the whole traditional infrastructure. Our challenge is to deliver the product, which is a very simple product. It’s very easy for people to understand conceptually. Our job is not to ruin it by layering too much technical speak and by making the engagement processes as easy as possible. It sounds to me the interface issue is the next major hurdle for all crypto companies to be solving how to take this to the next level with the average investor and make them feel safe and not they’re going to be scammed. It’s about what problem you are solving. If you look at a lot of these blockchain-based technologies, it’s difficult to understand what they’re doing in terms of what problem they are solving. It’s a very clever use of some fantastic development. If you ask the question, what is this going to do for me? Unless you can get a very clear short answer then there’s not a business there. We’re in a position where we can say the problems that we solve are, if you’re a homeowner, we can raise capital. If you’re frankly scared of getting involved with cryptocurrency because it bounces up and down all over the place, we think we’ve got a solution for that. If you want to get involved in real estate investment, we can use blockchain technologies so you can get involved with $100. You can spread your investment all over the place with a click of a switch. Those solve real-world problems. The challenge is the same challenge that we have with the internet and with computers where the technology and the articulation of the technology get in the way of the business. The articulation of the technology is huge. It’s almost when I think about what AOL was able to do back in the late ‘90s and early 2000s, by bringing this technology, we understood the CD. It let us do something that we need to do with it, which is sticking it in the CD drive and then it brings you to the internet. It’s to get something that’s that simple to use existing technology and to get the average users able to engage crypto in that simple way. For those of us that remember CompuServe, which I think was one of the predecessors to AOL. CompuServe, you didn’t have an email address, which was natural language, you would be a number or a series of digits or code. You have to remember your number. Also when you’re connected, it wasn’t a broadband connection. You would have to find your local point of presence. You’d have to instruct your modem to dial up. It was an incredibly complex, non-user friendly, clunky way of connecting. Yet people managed to overcome that. That’s where the blockchain is at now, at that early CompuServe stage in terms of the way that people interface with it. Not in terms of its technology. That will change at light speed very quickly to where we are now where things are much more driven by facial recognition and thumbprints. That’s I think what we’re going to see. The rapid change, if you’re talking about AOL, it’s not so much the technology, it’s the way that people used to get involved. That’s the interesting path that we’re on and it’s accelerated, and it’s compressed because blockchain time happens at a furious rate compared to even internet time. I have a friend who is chronically late. His name is Jim Bundy. How many minutes are inside of a Jim Bundy minute? I’m thinking three to five. How many minutes are inside a crypto minute? We are the reciprocal, the inverse. I think at least ten and a half hours are inside of a crypto minute if you think about things at the crypto space. Do you have any parting words, any advice or any learned lessons or places that you’d like us to check out and learn more about what you’re up to? I’d love you to check out the website, QuantmRE. There’s a lot of stuff going on. There’s a lot of stuff in the press. We are about to make a number of announcements. There’s going to be a cascade of announcements about how the platform was developed and how we’re getting to market in the next few weeks. How we’re delivering on our promises of tokenizing real estates. I’m excited about everything to do with this. It is the most fantastic time. For those of you who are not involved, it would pay to spend a few minutes to try and understand what this technology is because it will play a part of everybody’s life. We’re writing that very early stages. It’s absolutely compelling and fascinating to be involved. I appreciate you taking the time to tell us a bit more about QuantmRE and about alternative ways of getting to work. As well as to few adventures in traversing the globe but at least you’re able to help someone. You have a true adventure in the clear renaissance-man sense. I didn’t realize we’ll end up talking about cosmetics and jeans as well as flying acrobatics essentially. Thank you for that as an overview of tokenizing real estate. This is very exciting. It’s a pleasure. Thank you for having me on. It’s been fabulous. Matthew is the founder and chief executive office of QuantmRE and is the creator of the vision behind the platform. He is also the co-founder of the $50m Secured Real Estate Income Strategies Fund, and president and founder of Crowdventure, LLC, a real estate crowdfunding company. A serial entrepreneur, author and host of the Hooked On Startups podcast, he worked with Richard Branson’s Corporate Finance Team in the Virgin Group. Matthew went to Westminster School in London, UK and studied Law at Birmingham University before pursuing a career in finance and stockbroking, specializing in the South East Asian markets. An early technology leader, in 1997 he founded Copernicus GBS, Europe’s first internet billing application service provider. 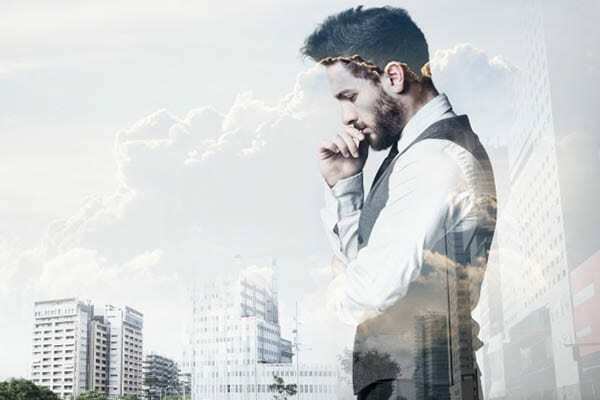 Since then he has founded and led companies in the United Kingdom, India, Australia and the United States in the finance, telecommunications, technology and real estate sectors.